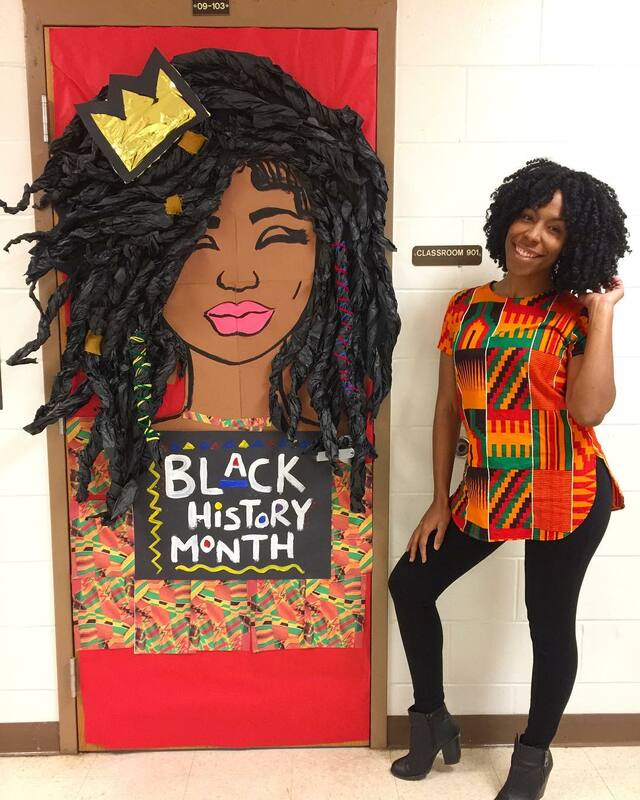 Art teacher Chanique Davis’ love of Black History Month — in the form of her classroom door design — has turned into a viral sensation. 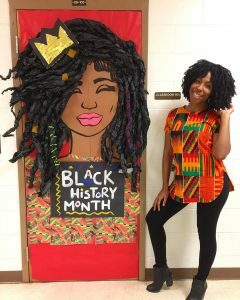 Created with the help of her advanced art students at Lake Alfred Elementary, the door features an African-American woman with three-dimensional dreadlocks wearing a crown and kente cloth attire. After Davis posted pictures of the finished product on social media, it attracted national attention from the PopSugar website. Davis was also featured locally in coverage from The Ledger and Bay News 9, and she has been interviewed for an online story by Good Morning America. In addition, the artwork caught the eye of nationally recognized entrepreneur Jennifer Labit, who founded Cotton Babies, a major supplier of cloth diapers. Labit posted about Davis’ door on her Facebook and Twitter accounts. 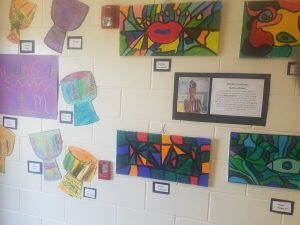 Labit challenged her social media followers to donate art supplies to Lake Alfred Elementary. 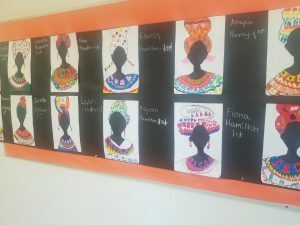 Davis said she is excited about the gesture, because it will help provide canvas, clay and other items for her students. SpeedyX Warranty, a Maryland-based company, is also sponsoring a pizza party for Davis’ art students. 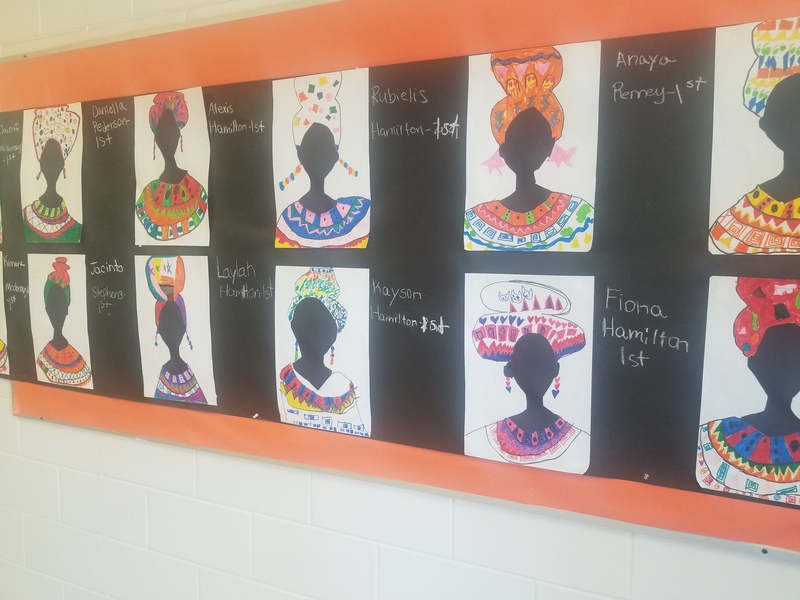 This is the second year in a row that Davis’ classroom door has featured her striking artwork of black women. 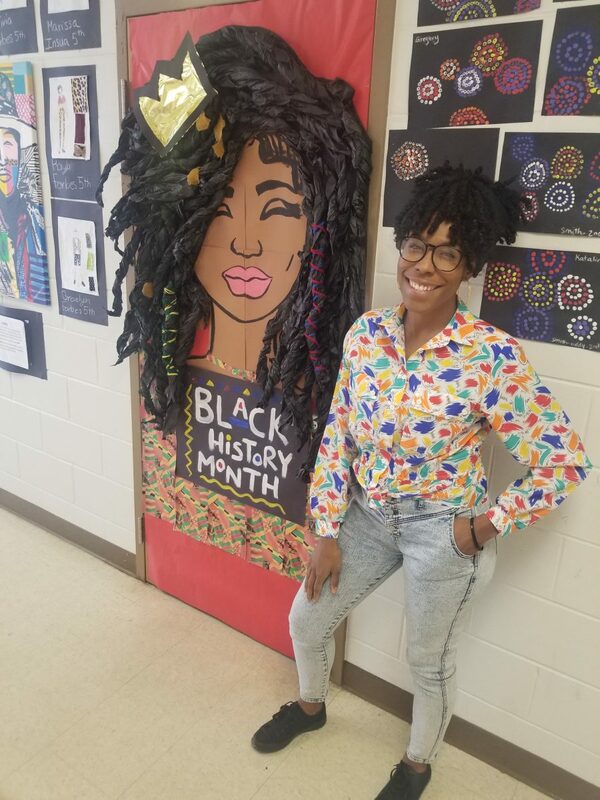 The popular local artist was originally inspired by other teachers’ elaborate custom door decorations, posted on social media during Black History Month. 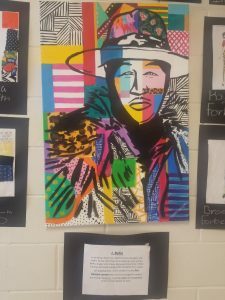 Davis said her students have reacted to the art with a sense of pride and acceptance. 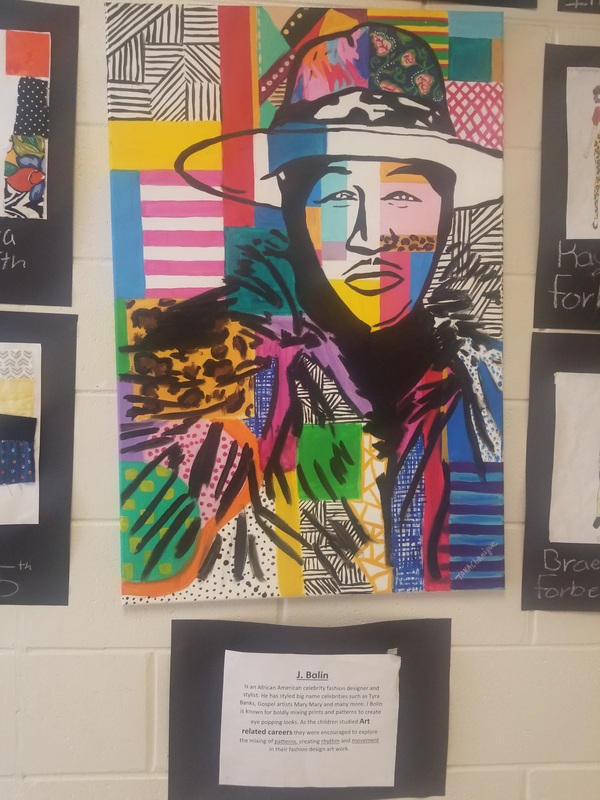 In addition to the now-viral door design, the students have also learned about black artists by working on Black History Month art projects that adorn the hallway near Davis’ classroom.